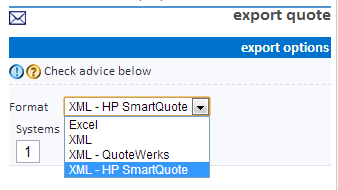 A new Export option is now available in HP iQuote. This should be really popular with our Reseller users who apply for Bid Pricing from HP. Simply choose XML – HP SmartQuote and you can download a zipped XML file. Unzip to upload as part of your HP SmartQuote request. Huge timesaver. As always any “red” configuration errors result in Export functions disabled. If you would like to get advanced notification of new HP iQuote features we publish them on the LinkedIn iQuote User Group. 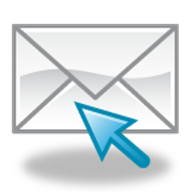 New version of the Mail Me export can now Mail Anyone! A few months ago HP iQuote introduced Mail Me: a way users could email themselves a copy of the Saved Quote. This has been improved to allow the user to replace their email address with any email address (most likely the person the quote is for). Hopefully very useful.